Personalise Facebook adverts without manual work. Product feed is the basis for dynamic ads and it's no secret that dynamic ads work really well. Facebook dynamic adverts automatically promote products to people who have expressed interest on your website, in your app or elsewhere on the Internet. Simply upload your product catalogue, set up your campaign once and it will continue working for you – finding the right people for each product – for as long as you want, and always using up-to-date pricing and availability. 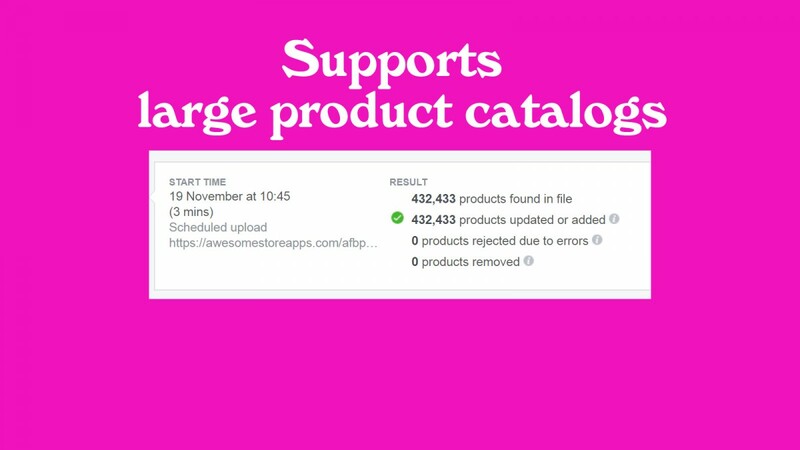 Why do you need Awesome Facebook Product Feed for Shopify? Our app automatically builds the Facebook product feeds for Shopify and automates the process. Set it and forget it. Awesome Facebook Product Feed app will continue to update your product feed whenever you add new products or change existing. Awesome Facebook Product Feed for Shopify supports custom options such as color, material and size. 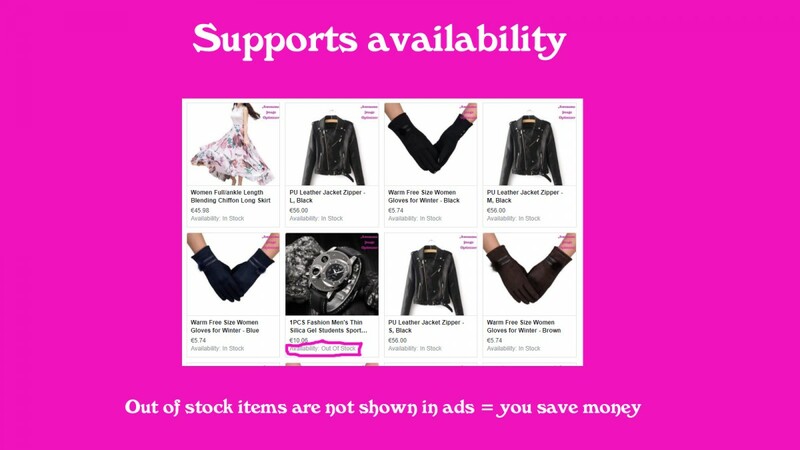 It allows won't show your out-of-stock items so you'll save money on ads. Yes, you can. 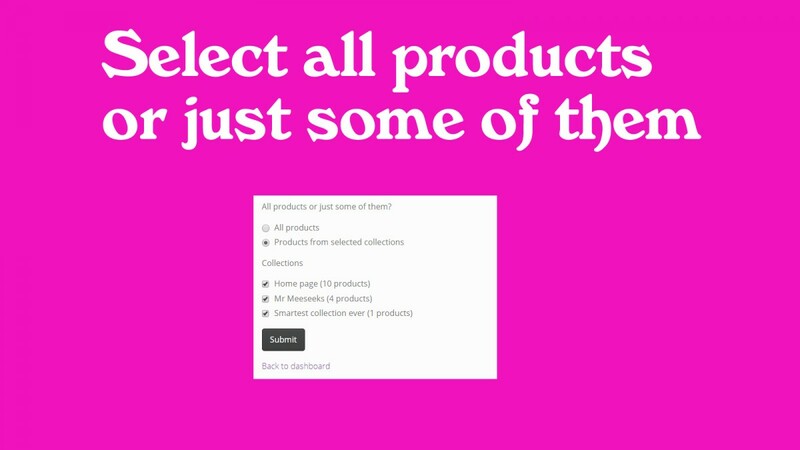 As long as you choose less than 50 products, you can use our Free plan. Yes, we do - 7 day free trial. Not at all - Facebook offers a great tutorial. It's a quick, one-time job.